“La prossima fermata; Piazza Frescobaldi”, I always heard this announcement for the next bus stop when I travelled from the Dutch University Institute for Art History to the Santa Maria Novella train station in Florence, not knowing the Frescobaldi family would be the topic of my research internship some time later. 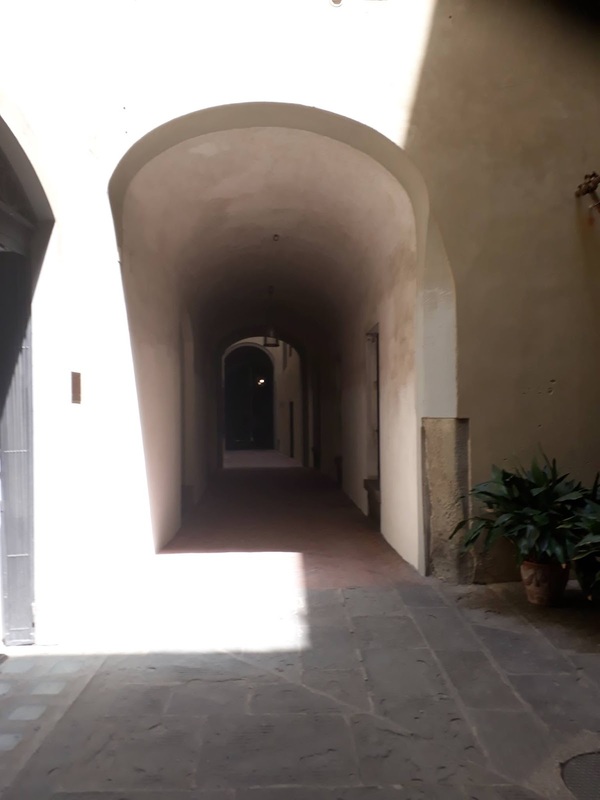 This summer, I spent three months in the beautiful city of Florence to research the Frescobaldi family as part of the Patrician Patronage Project. 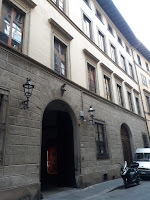 This internship not only gave me the opportunity to gain insight into the history of the Frescobaldi family, but it also provided me with a deeper knowledge of the history of Florence in general, especially about the area that belonged to the Frescobaldi for centuries, the Santo Spirito quartiere. The origins of the Frescobaldi have been traced back as far as the end of the first millennium. It was a family of well-known merchants and bankers. Furthermore, they were (and still are) prominent winemakers. From the thirteenth century onwards, they owned a couple of houses in the Santo Spirito quartiere. 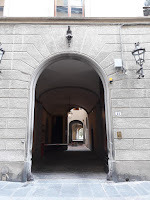 In 1282 Lamberto Frescobaldi invested in the building of the Santa Trinità bridge in order to connect their family estate with the city center. 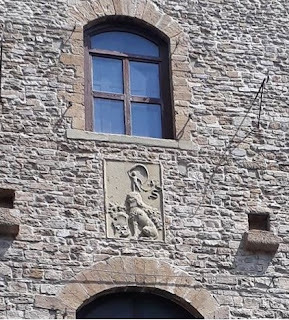 Due to their strategic location along the Arno River, one of the main import routes of the city, the Frescobaldi practised control and influence over the city’s economy from the second half of the thirteenth century. A high concentration of households was a way to mark their geographic identity in the city. Especially the towers and loggias showed their public status. 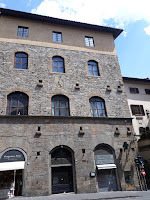 Palazzo della Missione, near the Santa Trinità bridge, was originally the main palazzo of the Frescobaldi, with in front of it its recognizable tower and loggia. This tower still exists, whereas the loggia was walled up in 1593. In the seventeenth century, the Frescobaldi began to restore all their family’s architectural possessions, in order to show respect to their ancestors, they kept the original structures intact as much as possible. Bartolommeo Baccio Frescobaldi restored one of their casoni in Piazza Frescobaldi. 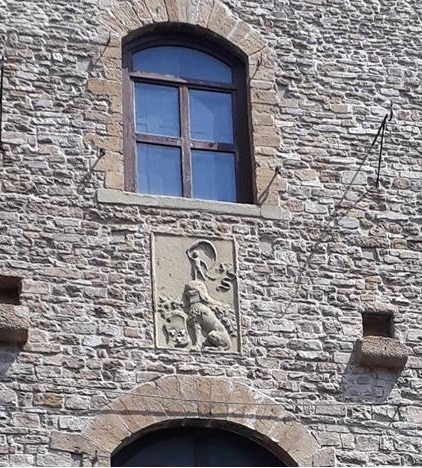 Today, all that remains of the palazzo of that period, after decades of destruction from in-faction fighting, is only one side, bearing the family coat-of-arms. From 1621, Matteo Frescobaldi started to rebuild the houses on Via Santo Spirito and reconstructed them into a solemn palazzo. 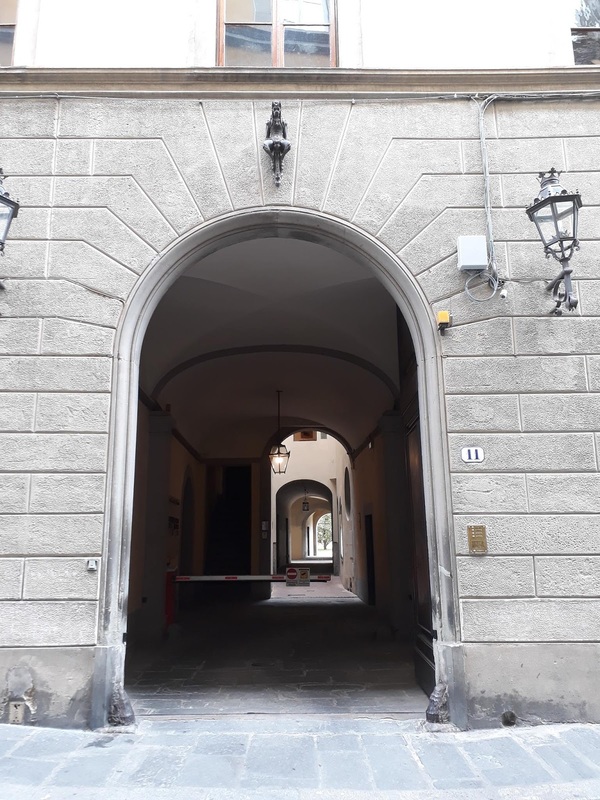 These days, the facade of the centuries-old palazzo still has the same structures and austere characteristics as in the time of Matteo’s restoration, whereas most of the inside has eventually been transformed for commercial use (ateliers and galleries). The sober appearance of the facade does not give away the hidden treasures that can be found behind these walls. Luckily, I managed to take a glance behind these massive walls. 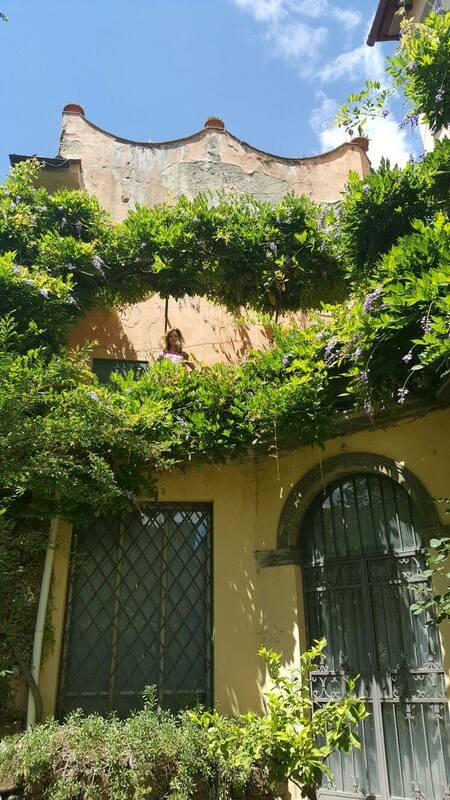 On the open day of famous gardens in Florence, I got the chance to visit the garden of the Frescobaldi palazzo. When I walked through the gate, I wound up in an impressive ancient old courtyard, which lead to the unexpected grand and beautiful garden, adorned with a colourful collection of azaleas. 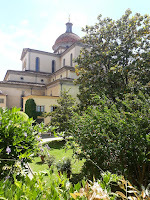 On top of that, at the end of the garden, the imposing Santo Spirito church doomed up. Stoldo Frescobaldi was superintendent of this basilica. In order to build the church (1481), the Frescobaldi had to sacrifice a part of their properties. 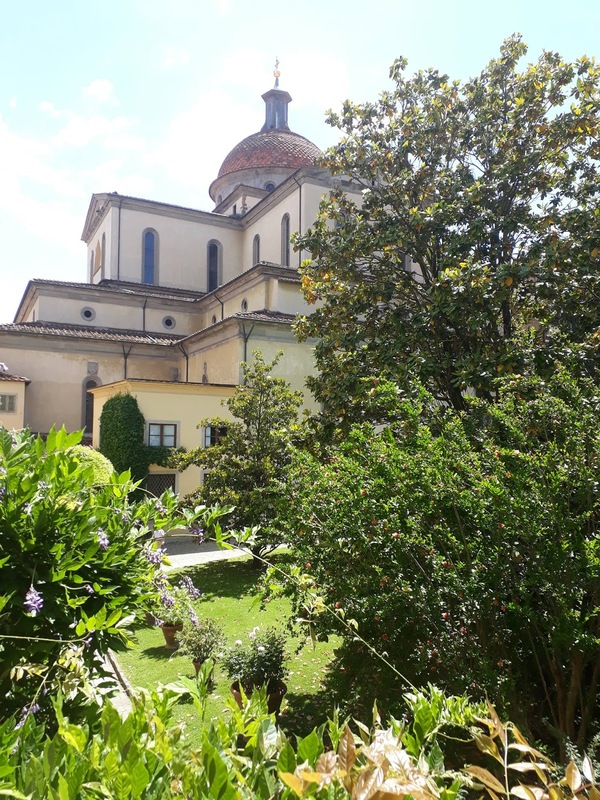 In the end, the Frescobaldi acquired the rights of the apse and three chapels. They also were able to participate in services without leaving the house, by means of a window looking in the church (coretto). It was an incredible experience to see all this in real-life and to be able to imagine myself in an old and honoured Florentine palazzo of ancient times. 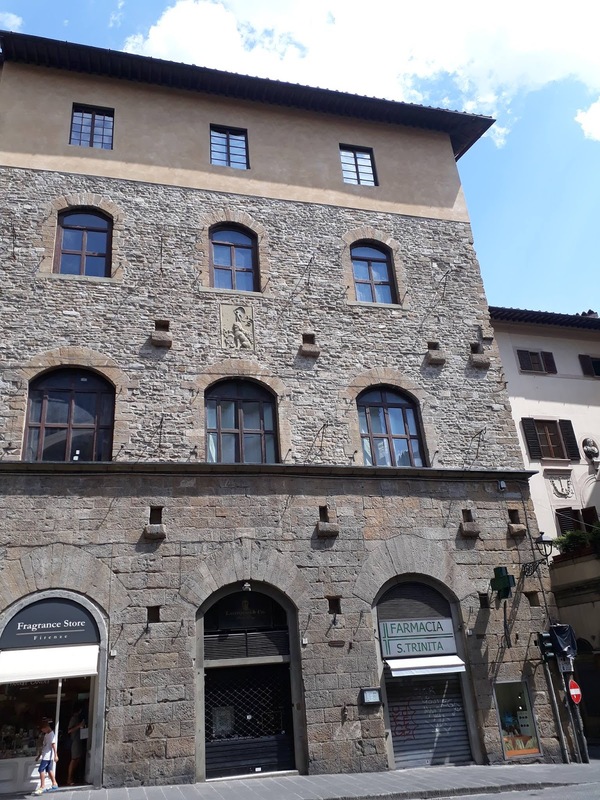 Now, when I walk through the streets belonging to the Santo Spirito quartiere, or when I take the bus and drive along the Piazza Frescobaldi, I am aware of the incredible and imposing history of these centuries-old buildings. Due to this research internship, one thing I thought was impossible became possible, and that is the fact that I love the beautiful city of Florence and its ancient history even more than I already did before.